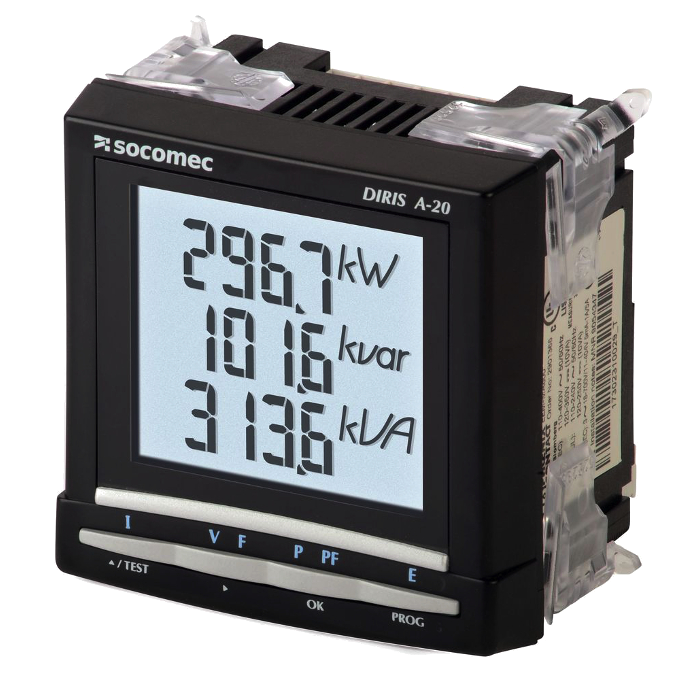 The DIRIS A-20 is a panel-mounted multifunction power monitoring device for low voltage electrical installations. The device is easy to use thanks to its large backlit LCD display and 4 keys used to view reaDINgs and configuration. Additional communication and input/output modules can extend the basic functional scope of the DIRIS A-20. Equipped with additional modules, the device can provide the user with flexibility and expandability throughout its service life.